Wow! It has been three years since I first switched to a raw diet and do you know the very first raw food I tried? Primal Pet Foods! Today, I still enjoy Primal’s prepared raw meals as well as their dry roasted and freeze-dried treats. So when Chewy.com asked me to review Primal’s Freeze-Dried Beef Liver Munchies, of course I said yes. All of Primal Pet Food’s dog & cat treats are single-source proteins which is great for dogs or cats who need to stay away from a specific protein due to allergies or other reasons. Primal’s Beef Liver Munchies are made from one thing – Beef Liver – which comes from antibiotic-free beef raised in the USA without any added hormones. 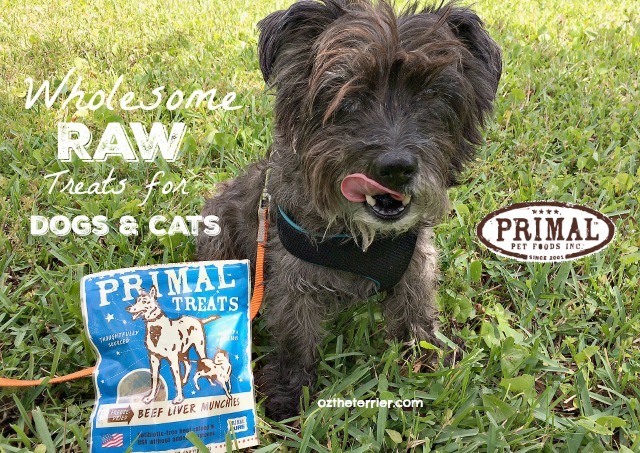 Primal created their line of dog and cat treats with the goal of providing wholesome, healthy, human-grade snacks. Their treats do not contain any preservatives, gluten or grain. Primal treats also do not contain any added salt or sugar. I have always enjoyed the Beef Liver Munchies treats. The treats are sized to be a good bite and can be broken into smaller pieces if necessary. They are super healthy too as they contain a lot of necessary nutrients like potassium, manganese, phosphorus and iron. Just note that if you eat too many liver treats at one time, your poop will get really dark from all the iron so do not panic. You can see all the nutritional facts and guaranteed analysis HERE. Primal Pet Foods creates recipes that offer an easy way to keep your pet’s diet as close to nature as possible. All of the meats, poultry and game used in their food and treats are procured from ranchers throughout the USA and New Zealand – ranchers who take pride in producing wholesome sources of protein through natural and sustainable agriculture. 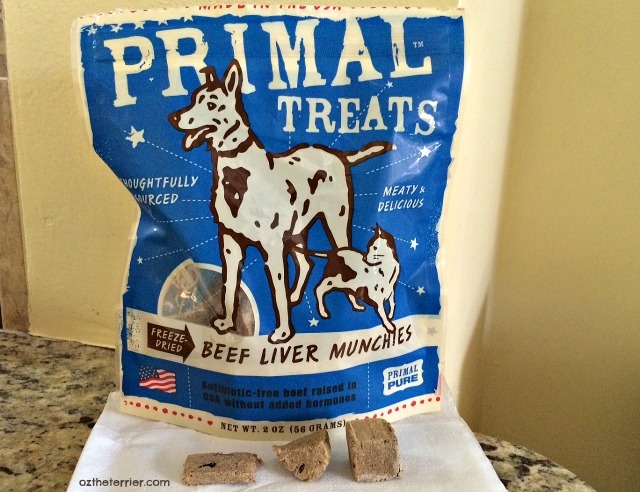 If you enjoy liver treats, then you must try Primal Pet Foods Beef Liver Munchies. You can find Primal Beef Liver Munchies treats at Chewy.com – where providing service that makes you go “Wow!” is there specialty. Do you have a Chewy.com review posted this month? 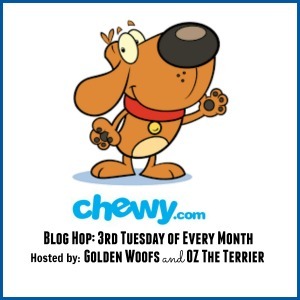 Then join me and Sugar the Golden Retriever in the Chewy Influencer blog hop! 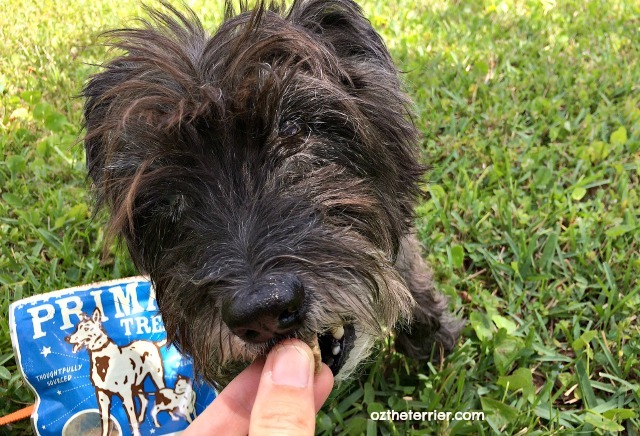 Post Disclaimer: As a Chewy.com Influencer, I received one bag of Primal Pet Foods Beef Liver Munchies in exchange for an honest review however Oz the Terrier only shares information we feel is relevant to our readers. Chewy.com nor Primal Pet Foods is responsible for the content of this article. We love these treats too. Mom was using them for our nose work at practice the other day and actually ended up trying some because a piece broke off in her mouth. She said it was awful, but her taste buds must be messed up because my sisters and I are nuts for these! Great review, I may get some for my cats. Beef...Liver?? Sounds like this is a win, win kind of treat!!! OMD OZ.... we think these treats would be SUPER GREAT... fur those of us who are not on a FULL OUT All RAW diet... we could have all the benefits withOUT needing to switch to Raw... just have a SNACK now and then.... OMD we are gonna INSIST that Mom get some of these from CHEWY.COM. You had me at beef liver. These sound so good. We love freeze dried treats! those looked really really good. We have had several of the Primal treats and we loved all of them. We will have to try the beef liver ones next. We just got our post up and joined in on the blog hop. Glad you liked 'em. Me tried da pork hearts and didn't like them. Ohhhh, we love Primal too. We definitely need to add this to Mom's next order. We love those, and Primal in general! Oh yum, yum Oz...wanna share????? These are a favorite of ours for training. We get other freeze dried treats too but the pieces come too big sometimes and they are really hard to break into pieces. Luke is highly motivated to learn new things when the Primal treats are around!